Francisco Alfredo García Prats is the program coordinator and chair holder. Professor of Financial and Tax Law (full tenure since 2010), Jean Monnet Chair ‘EU Law and taxation’ since 2011, with more than 21 years of teaching experience, specializing in EU TAX LAW and International Taxation. He has also taught EU Tax Law as a Visiting Professor at Vienna University (Austria), Thomas Jefferson School of Law (US), Bergamo, Bocconi, Torino (Italy), Sorbonne-Pantheon (France), Salamanca, Complutense, Castilla-la-Mancha (Spain). Advisor of the Tax Committee and the Ad Hoc Group of Experts in Tax Matters of the United Nations since 1995, Senior Legal Counsel at the IMF in 2008, Advisor of the EU Commission on the CCCTB Project for the harmonization of the corporate tax base. Member of the Academic Committee of the European Association of Tax Law Professors representing Spain. Author of more than 30 books and book chapters and 45 articles specifically dealing with EU Tax Law matters. Member of international tax associations, and participant i different research projects on EU tax law. Antonio Bar Cendón is Professor of Constitutional Law (since 1989) and Jean Monnet Professor of Constitutional Law of the European Union (since 2004). His present position is at the Faculty of Law, University of Valencia, Spain, where he specialises in teaching and research on EU law and institutions. He studied Law and Political Science in the Universities of Santiago and Zaragoza, Spain (where he received his Doctorate in Law), in Harvard University, US, and in the European University Institute, Florence, Italy (where he was “Jean Monnet Fellow”). He has held different academic positions in various Spanish Universities and has a broad international experience as a visiting scholar and guest lecturer in many foreign Universities and prestigious centres. These include the European Institute of Public Administration (EIPA), Maastricht, NL, where he served seven years and held the position of Head of the Research Committee; the Institute for European Studies (IES), Brussels, where he served one year; Harvard University, US; University of Cambridge, UK; Universiteit Maastricht, NL; The Hebrew University, Jerusalem; Haifa University, Israel; Universidad de la Habana, Cuba; Chinese National School of Administration, Beijing, China; Texas A&M University, Texas; South Texas College of Law, Houston, US; Universidade Federal de Sergipe, Brasil; and Universidad del Norte, Barranquilla, Colombia. He was also Vice-Rector of the University of Cantabria, Spain, and Director of the Department of Public Law. As a consultant, he has worked in numerous projects for the Spanish Government, the EU (European Parliament and European Commission), and the Council of Europe, in various European Countries and in the Middle East. His list of publications includes ten books and numerous articles on EU Law and institutions, Constitutional Law, and Political Science, published in Spanish, English, French, Italian, and Catalonian. 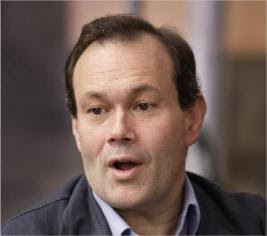 Professor of Economics at the University of Valencia, where he is also Chair of the Department of Applied Economics II from 2008 and holds a Jean Monnet Chair in Economic Integration from 1996. He has been Director of the Research Group on Economic Integration-INTECO. He holds a Ph. D. (with special honours) from the University of Valencia-UV (1992) and a M.A. from the College of Europe, Bruges, Belgium (1987). His main research fields are Macroeconometrics and Economic Integration. He has been Schuman Scholar at the European Parliament in 1988, Visiting Scholar at the School of Economics of the University of Nottingham (1992 and 1999) and Senior Fellow at the Wharton School of the University of Pennsylvania (1996). From 1988 to 1992 he was Director of the European Documentation Centre of the UV and Research Associate at the Research Department of the Valencia Federation of Saving Banks. In 1993 he served as advisor to the Spanish Prime Minister’s Cabinet. From 1998 to 2003 he has been President of the Spanish Chapter of the International Economics and Finance Society, Chairman of Economics Committee in the National Commission for Research Assessment and he is currently President of ALdE-Spanish Association of Applied Economics. He has been consultant for the European Commission, H.M. Treasury and the Spanish Ministry of Economy. Full Professor of International and European Economics (2007 to date). Jean Monnet module leader (since 1996) and Jean Monnet Chair (from 2000) in European Economic Integration. Master in European Integration from the College of Europe (1990). Her first teaching post was as an assistant at the University of Valencia in 1990. She moved to the University Jaume I since its creation in 1991 where she was first Lecturer, then Associate Professor and finally Full Professor in 2007. Her area of expertise is European Economic Integration and Applied Econometrics. Her research activities include more than 40 papers published in international academic journals. She is a member and co-founder of INTECO research group in Economic Integration, created in 1993 as a joint group of researches from the neighbouring universities Jaume I and Valencia. She has been a research project coordinator in many competitive calls from the Spanish Ministry as well as from the Regional authorities. She has also participated in several chapters of a handbook on European Economics that this year reaches its 7th edition. Concerning public service, she has been Regional Vice-Minister of University and Science in the Valencian Government as well as Secretary General for Universities in the Spanish Government. He has developed is careear both in Spain and Latinamerica, where it holds an enormous reputation as a constitutional law professor. He has been involved in the Constitutional reforms of many Latinamerican countries Founder of the CEPS (Centro de estudios politicos y sociales) a very dynamic EU study group and of the European Union Foundation. Director of the Master program in the European Community Law since 1996 and of the European Polo on EU and the Mediterranean Relations. Visiting professor at the Universities of La Habana and Camagüey (Cuba), Prize ‘X Aniversario de la Constitución’, Member of the Spanish Chapter of the Club of Rome, Member of the Valencian Council of the European Movement,and of the Asociación Española de Ciencia Política y Derecho ConstitucionalInternational observer in the electoral processes of El Salvador, Ecuador, Bolivia, Venezuela and Colombia. Member of the Institute of Human Rights of Valencia. Professor of international relations in the Faculty of Finance, Gobernment and International Relations and in the Faculty of Law of the University Externado in Colombia, one of the highest university institutions in Colombia. Jean Monnet Chair on European Law. Doctor in Law, University of Valencia (Spain). Visiting professor in Valencia, Salerno, Miami, Católica del Peru, Simon Bolivar, University of Los Andes and Tres de Febrero, concentrates in the EU-Latinamerican relations and in the integration processes of EU and the Andean area. Director of the Masters Program in Political Integration in Regional Areas: EU/Andean area. Expert on customs law and international taxation. University Professor in the Public Finance Law and Taxation Department of the University of Valencia. Adjunct Professor of the University of Canberra (Australia) and Faculty member of the Master of Customs Administration of the University of Münster (Germany). Has ample experience in teaching and training in an international environment (in 16 countries). Directs a postgraduate course specialized in customs law (now in its third edition) that has been selected as a Jean Monnet Module. Has authored more than fifty publications on customs topics –books, chapters of books and journal articles- including six articles in international journals in English and a total of seventeen international publications. He is founding Member of the Academia Internacional de Derecho Aduanero and contact person in Spain of the International Network of Customs Universities (INCU, an organization with the support of the World Customs Organization). Fluent in English. Professor of Physical Geography at the University of Valencia. Doctor in Geomorphology (University of Valencia), national degree award, she studied a postgraduate course at the University of Mainz and a post doc stage at the Universidad Politécnica de Valencia. Devoted since the the middle 80s to research on geomorphical processes and natural hazards and on quaternary and holocene landscape evolution, she has participated as research partner in 5 National and 1 USA funded projects. Besides 30 years of teaching experience on more than 15 different subjects of the Physical Geography she is responsible for a Jean Monnet module on Landscapes and Environmental Policies in the EU (since 2006). She has also taught Physical Geography of Spain at the Universität Trier, Germany. She is (co)author of more than 40 scientific publications. Professor of Tax Law at the University of Bergamo (Italy), holder of a European Action Jean Monnet on EU Tax Law (2004). Doctor in law at the university of Padova. Visiting professor at the Universities of Valencia (Spain), Linz, WU University of Economics Vienna (Austria), Cambridge (UK), and Technical University of Orel (Russian Federation). Coordinator of the Ph.D. Seminars in International and European Tax Law organized by the University of Bergamo (Italy) from 2 to 4 December 2010. Topic: “Tax Aspects of Fiscal Federalism. An EU and Comparative Analysis” Author of more that 5 books and book chapters and 25 articles in English and Italian. Specialized in EU Taxation, International Taxation and Fiscal Federalism. Professor of Applied Economics at the University of Valencia. Doctor in Economics (University of Valencia), he studied also at the University of Mainz and did a post doc stage at the Istituto Univeristario di Architettura di Venezia. Devoted since the early 90s to research on socio-economic aspects of the environmental crisis, he has participated as research partner in 5 EU funded projects. Besides more than 30 years of teaching experience in statistics he is responsible for a Jean Monnet module on Environmental Policy in the EU (since 1997) and participates as a lecturer in the module on The Landscapes of the European Integration and the Environmental Policy. He is (co)author of more than 50 scientific publications.